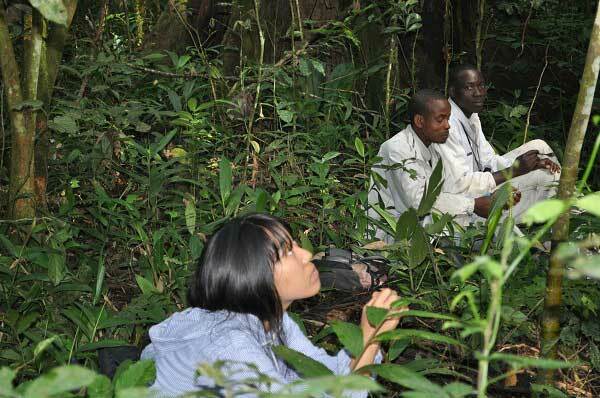 I went to Kalinzu Forest Reserve Research Field Station, which has been a study site for chimpanzees by Dr. Chie Hashimoto since the early 1990s, to advise and supervise Ms. Sojung Han, a CICASP Master's student, regarding potential PhD research topics. The field site was quite challenging, but provided a wonderful opportunity to observe and hear chimpanzees in a secondary forest. 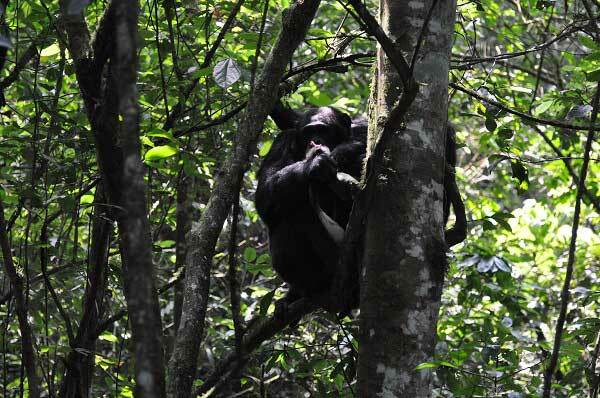 I was in the field between 10 and 20 August, and spent eight days tracking chimpanzees. We covered 70 km, over very steep, and thick forested, hillsides, during that time. We heard, but did not see, olive baboons, but we were able to both see and hear L'Hoest's guenon, redtail monkeys, blue monkeys, and black and white colobus monkeys, as well as chimpanzees. During our forays into the forest, we were fortunate to witness two episodes of hunting of black and white colobus monkeys by the chimpanzees. I left the study site convinced that chimpanzees are heavily dependent upon both their visual and acoustic senses to mediate and regulate their social relationships and party size and composition.